Hurry in for storewide savings on mens and womenswear as well as home furnishings and more! The Bay’s Black Friday Sale began Friday, November 23 and runs through Sunday, November 25 2012, with discounts both in-store and online. For you men out there, this means it’s officially time to supplement your wardrobe. 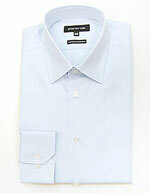 You have no excuse now, with 50% off non-iron dress shirts from Jones New York. These are easy to pack and care for, so they’re especially great for business trips. And ladies, it’s never a bad time to add a nice cocktail dress, right? Calvin Klein dresses are 60% off right now at The Bay, so you don’t have to feel bad about grabbing a few for those nights on the town. The sale extends all across the store, and you can save up to 60-70% on everything from clothes to kitchen items, bedding and luggage. Online shoppers can also receive these super discounts, with free shipping site-wide for purchases of $99 or more. And don’t forget to bring your coupons for The Bay as well! Get out your mobile phone for a nice head start – just text the word SAVE to 22322 and you’ll receive $10 toward an in-store purchase of $50 or more during the store’s Black Friday Sale–how’s that for a shopping tip? Otherwise use our TheBay.com page for online coupons or, if applicable printable coupons.